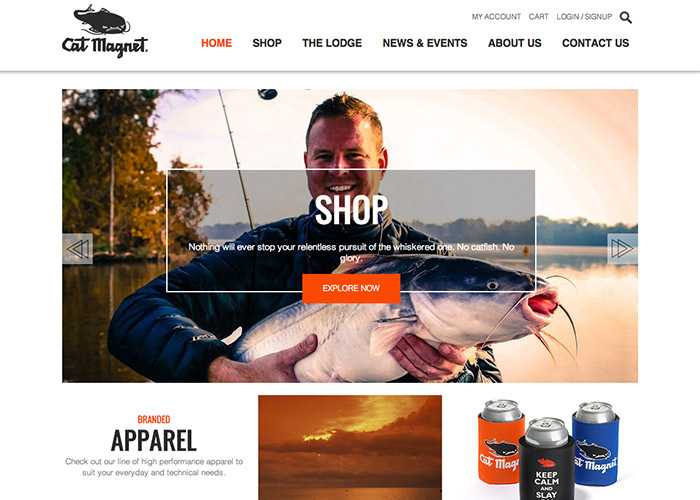 CAT MAGNET is a superior brand of fishing tackle and apparel designed for anglers. Cat Magnet is not just a store, it's a way of life. The website engages users in a fun, informative way that keeps them coming back as part of the Catfish Army.